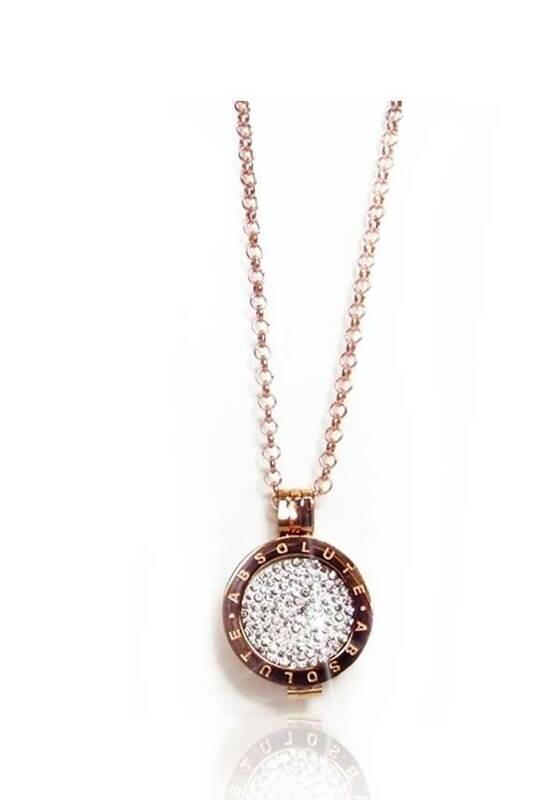 A small double sided opening pendant, on an 18” chain, made from hypo-allergenic rose gold. With the Absolute logo on the front & plain on the back. 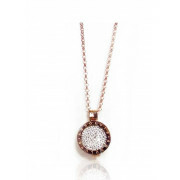 Inside sits a small sparkling crystal coin – subtle sparkle, suitable even for everyday wear.